Musicians are generous – they create music and share it with everyone. They teach, enabling others to experience the joy of creating music. And in the heartland of America, the Omaha Chamber Music Society is making sure that all students who attend Title I secondary schools in Omaha also gain this opportunity through their amazing Good Vibrations program. SHAR is proud to be a supporter the Good Vibrations program, which is described by Omaha Chamber Music Society violist Judy Divis, founder of the program. Judy’s story is about generosity, and how a community of superb musicians and partners came together to share their passion, passing the baton to a new generation. the city of Omaha and have seen all levels of string students from beginners to national competition winners. I’ve observed a striking discrepancy in the condition of the student-owned stringed instruments between the more affluent communities and those that are low income. Perhaps you have noticed the same thing. Many of the students in low income communities are trying to play on instruments in dire need of a luthier’s attention. maintains them. The instruments I am talking about are owned by students, and I’m specifically referring to students in Title I schools. (Title I eligible schools receive federal funds designed to help level the playing field for low income communities.) Someone, usually a family member, purchases an instrument or passes one down through the family so the student who shows an interest in music had something to use in orchestra class. Maintenance and repair of the instruments proves too much of an added expense to the family budget, so the student continues to play on the instrument, no bow rehairs, no new strings. If something happens to the instrument like a crack or open seam, it remains indefinitely, causing further damage. Or worse yet; someone tries to save money by doing a home repair. Last year I joined the board of a local musician-founded organization, the Omaha Chamber Music Society (omahachambermusic.org) whose mission is to provide outstanding chamber music concerts in Omaha at an affordable price. As Vice President of Education, I made a plan to start addressing the need for instrument repair in the Omaha Public Schools. The first step was to partner with a luthier. Sarah Gray, (sarahgrayrestoration.com) enthusiastically agreed to join us. I have known Sarah for many years, as she has maintained my personal instruments. She is a magician and this project could not happen without her. Next, we needed to start raising money. Since the Omaha Chamber Music Society is a 501c3, we were able to secure private donations as well as support from the Omaha Public Schools Foundation. 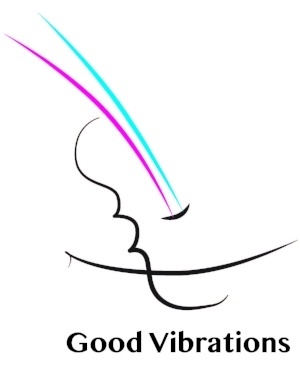 I’m thrilled to report that Good Vibrations recently broke the $10,000 mark in cash donations. Once donations started to come in, we had several meetings with the Director of Instrumental Music for the Omaha Public Schools. Communicating with OPS staff and teachers has proven to be vital to the success of the program. The process takes a while to set up and maintaining a good working relationship with the administration is essential. So, how do we begin the repair process? Our luthier, Sarah visits the classroom and gives a brief presentation about the basics of stringed instrument maintenance. One of her most popular visual aids is a violin cut in half, which she passes around the classroom. The students love it! We discuss how the instrument is made, and how to take care of it. Then we go in a separate room with small groups of students. Sarah assesses each student’s instrument carefully and discusses any issues the students may be having, like sticky tuning pegs, or buzzing sounds. The students are so interested in watching this process and learning about their instruments that it is difficult to get them to leave when it is time for the next group to come in! A letter of explanation about Good Vibrations goes home with the student as well as a permission slip which must be signed and returned before any work can begin. Once the permission slips come back, I pick up 4 or 5 instruments at a time a bring them to Sarah’s shop. We then coordinate the return of the finished instruments with a pickup of another batch. Since January of this year, we have repaired 37 instruments and bows at no cost to the students or their families. We intend to continue our slow march and, as funding allows, we plan to expand our scope. In the fall, we will also be adding repair and maintenance workshops designed for teachers. Speaking of teachers, I would like to express my deep and abiding gratitude for my colleagues who serve in the nation’s classrooms teaching music. They are on the front lines of our art, and their work is of paramount importance. A program like Good Vibrations is a terrific way to support them. Please contact me if you are interested in starting something like this in your community. Thank you to SHAR Music for their generous donation of instruments to Good Vibrations, and for letting me write this blog!